Le Corbusier, famous Swiss-French architect, urban planner and one of the pioneers of modern architecture was very enamoured with "Open Hand" symbol. 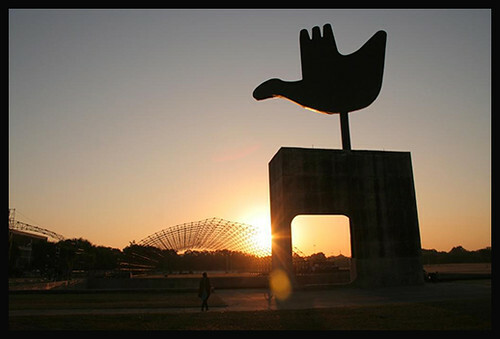 One of his most famous project was the planned city of Chandigarh, India and the city authorities adopted the "Open Hand" as the emblem/symbol of the of Chandigarh. There are several Giant Open Hands scattered in and around Chandigarh. Here are three larger ones. 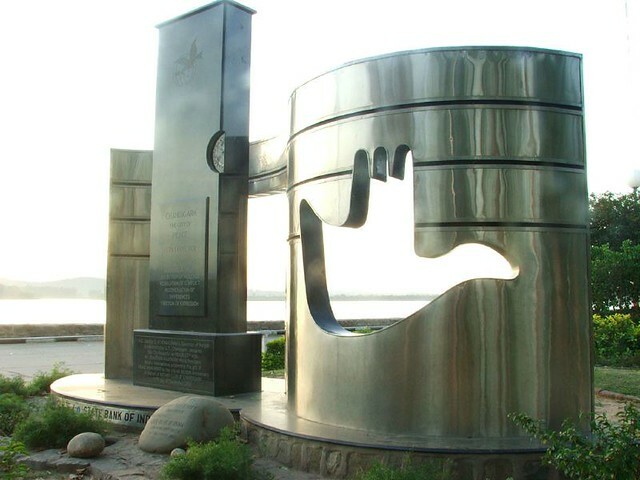 This Open Hand Monument was designed by Le Corbusier himself and is largest of his many Open Hand sculptures. It symbolizes "the hand to give and the hand to take; peace and prosperity, and the unity of mankind". The Monument located in the Capitol complex of Chandigarh, in the backdrop of the Shivalik mountain range of outer Himalayas, stands 26 metres (85 ft), high out of which the metal hand is 14 metres (46 ft) high and weighs 45 metric tonnes (100,000 lb). The hand is mounted on a swivel and rotates like a vane with the wind. Also known as Chandigarh Peace Symbol. Installed on the shores of Lake Sukhna, it was gifted to the city in December 2003, by the Rotary International on 50th year of its founding. Open Hand is a favourite Le Corbusier and symbol of Chandigarh can be found at many places in Chandigarh. 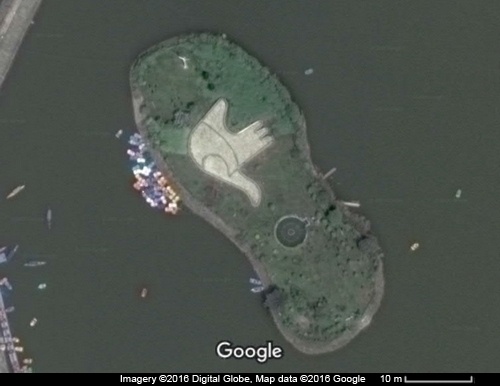 Here is a motif of Open Hand built on a shoe shaped islet in the Sukhna Lake, Chandigarh. These giant hands are also being included in the "Giant Hands Around The World" collection.